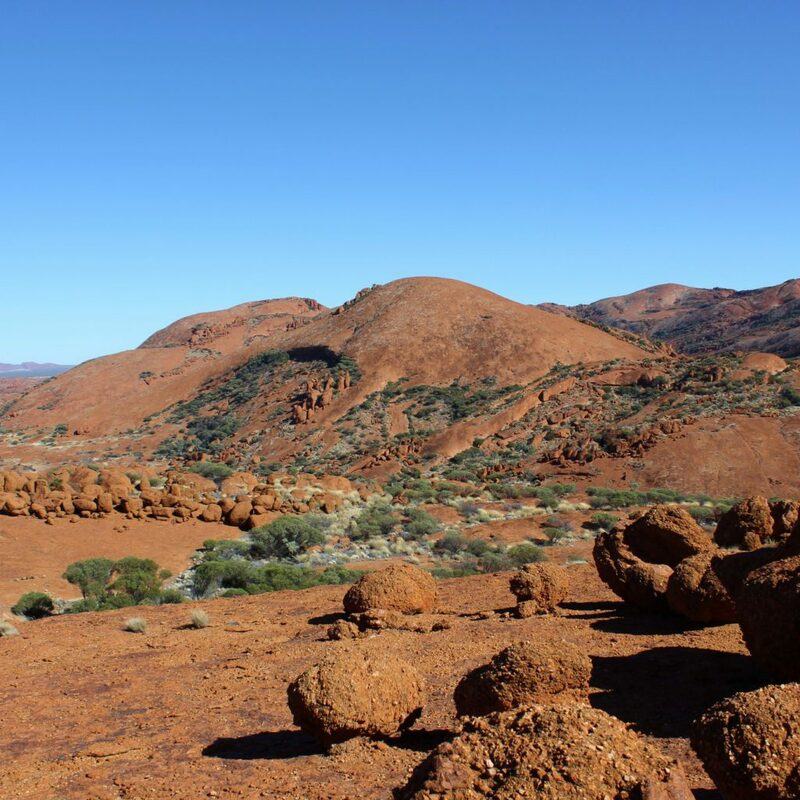 Escape the hustle and bustle and connect with Indigenous Australia through the people, their stories, and their land. We have the experience, skills and local knowledge to organise a truly unique experience for your workplace or group. From corporate team building to yoga retreats, we can organise a specialised program just for you. 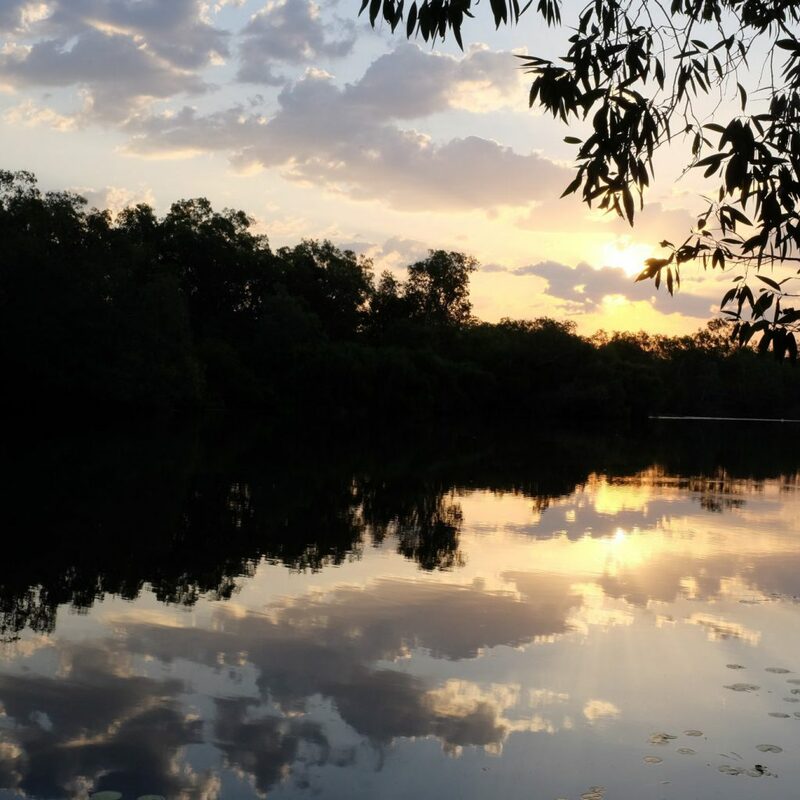 Our partner homelands in Cape York, Arnhem Land, and the APY Lands are waiting to welcome you to share in their stories, culture and way of life. We will make sure your group gets the most out of their experience by putting together the perfect itinerary. 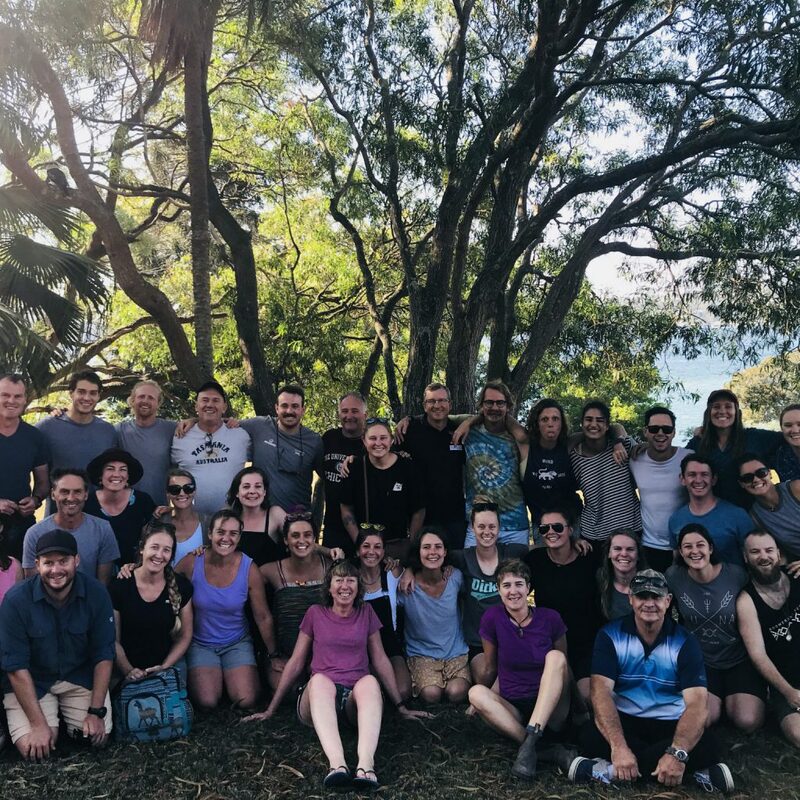 Whether you want plenty of time for team building activities, yoga sessions in stunning natural surrounds, or a focus on giving back through community projects, we can create a truly unique experience for you and your group. 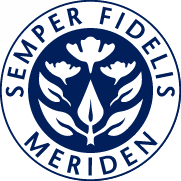 To minimise the stress on you and your team, we take care of everything from A-Z. 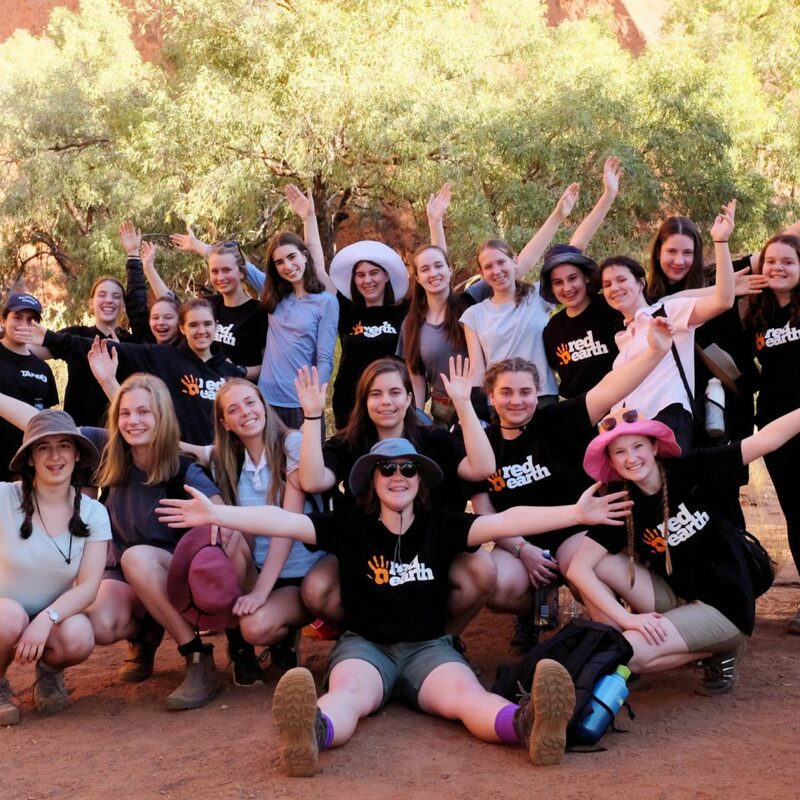 Our immersions are all-inclusive, covering flights, ground transport, food, camping equipment, as well as external facilitators and whatever else you might need to make your experience perfect. 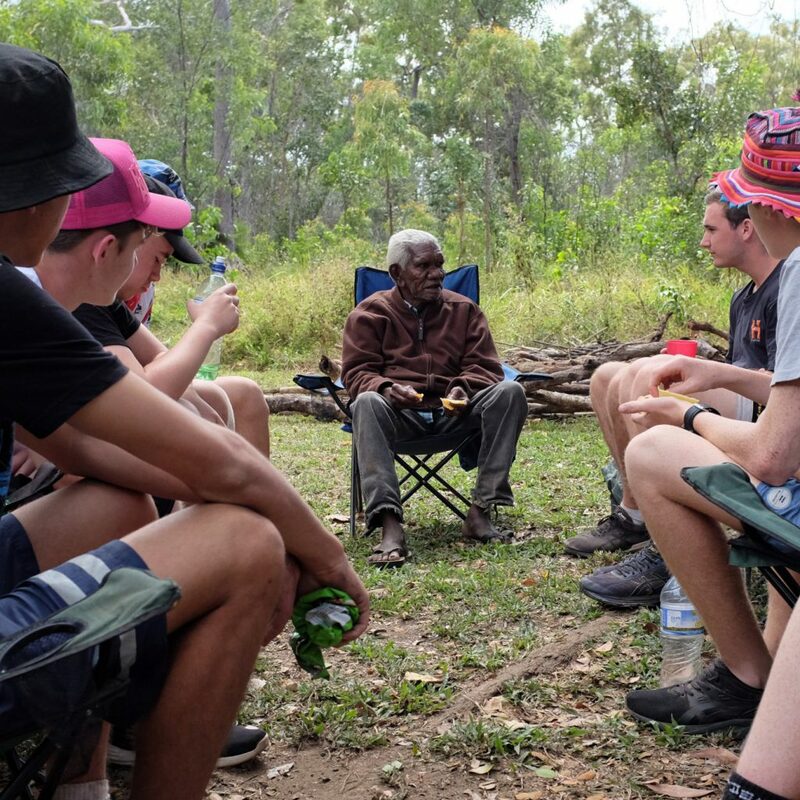 Our immersions are a truly unique way for you and your team or group to connect with the culture, land, history and future of remote Indigenous Australia. 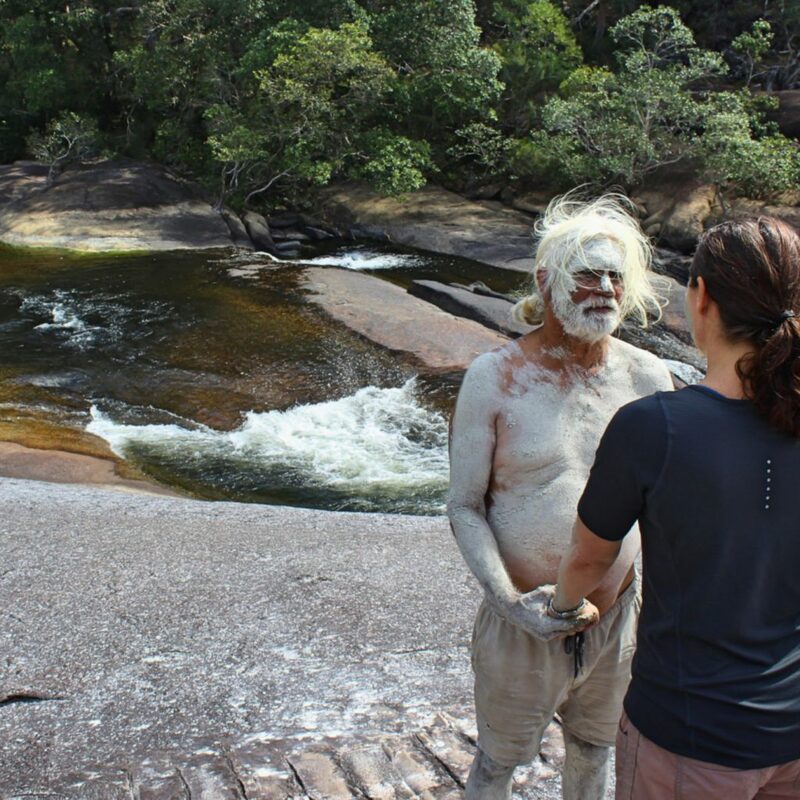 You will meet and stay with Traditional Owners and Elders on their own land and their own terms, to gain a deep understanding of the beauty and challenges of maintaining their way of life. A rewarding and enriching experience awaits you. to know each other away from the luxuries of everyday life, as a result we have all grown much closer. Every Homeland is different, but we ensure access to showers or a swim at least once a day, and flushing or drop toilets at every location. If you have particular preferences regarding amenities, just let us know! While there will be opportunities for the group to forage bush foods, we bring all the food and catering equipment with us. We can cater for every kind of dietary requirement and allergy. We a focus on fresh, healthy meals, and while the preparation of meals is usually a responsibility shared among the group we are happy to take care off all the meal preparation to allow your group to focus on other things. There are no hotels and motels where we're going, but fear not - we camp in comfort. 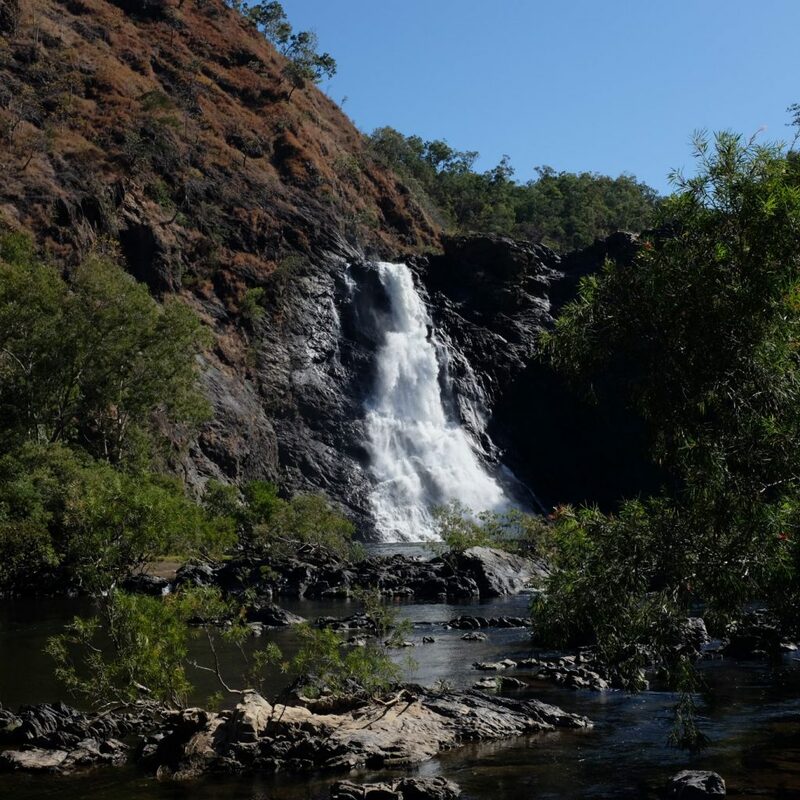 Large canvas tents and long stretcher beds keep you off the ground in Cape York and Arnhem Land, and in Central Australia we sleep under the stars by the fire in comfy heavy duty swags. 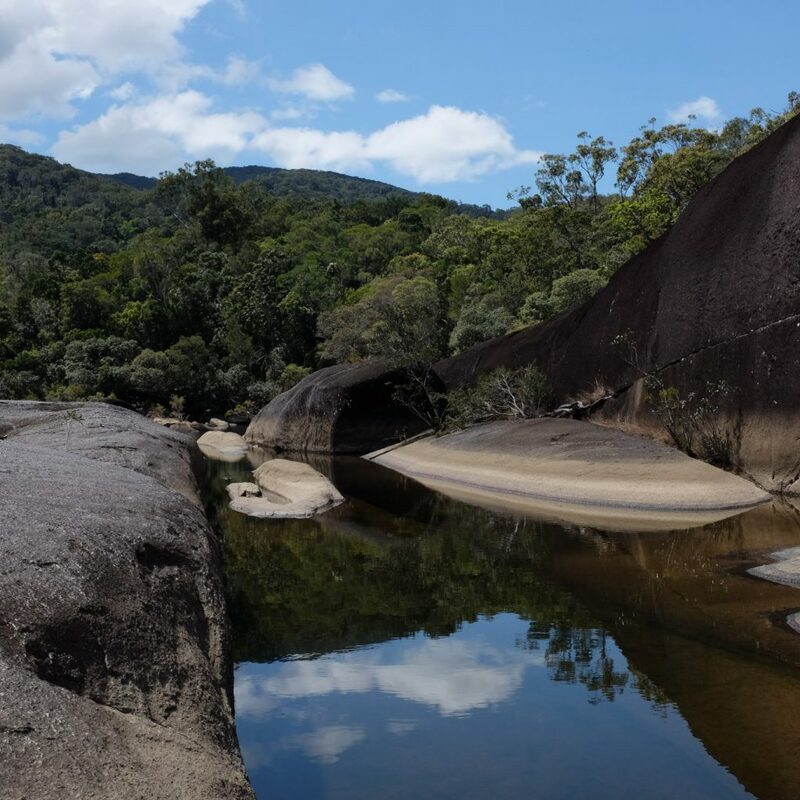 Our immersions are certainly not 5-star luxury trips, but we make sure you're comfortable and safe so you can get the most out of the experience. How can we contribute to a community project? 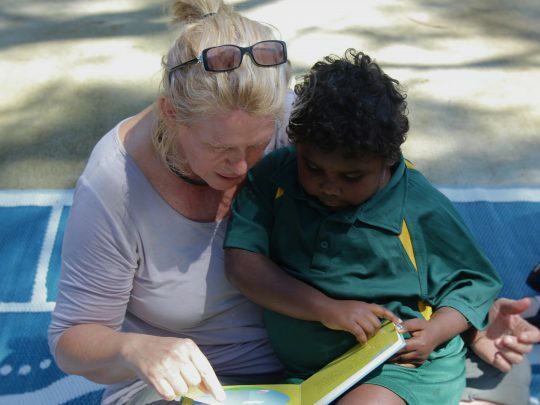 We have long-standing relationships with Traditional Owners who guide us in developing community projects that will help support and sustain their communities. 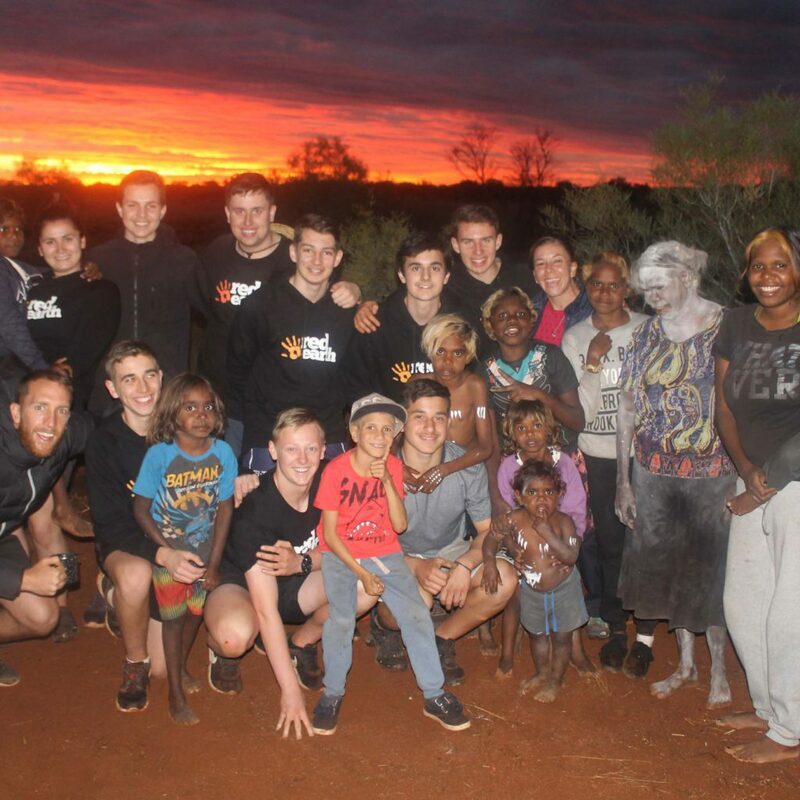 Based on the amount of time you would like to spend on a project and the amount of money your group would like to fundraise or donate, we will put together a proposal based on the desires and needs of the Traditional Owners to make it happen. 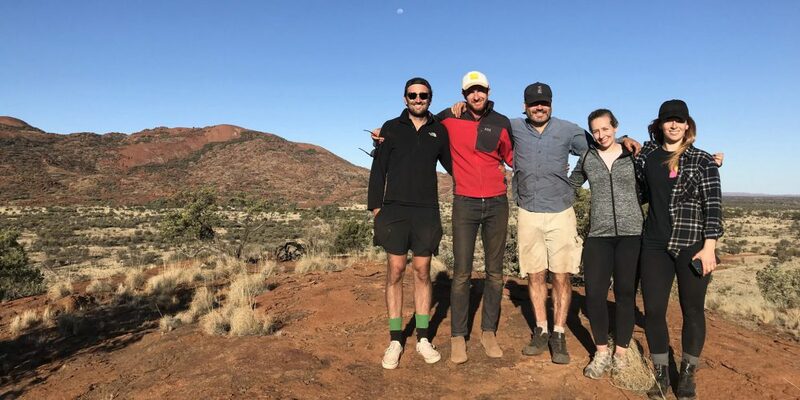 Previous projects include installing water tanks, erecting fencing, establishing vegetable gardens, building chicken coops, building drop-toilets, painting, planting trees, and much more. 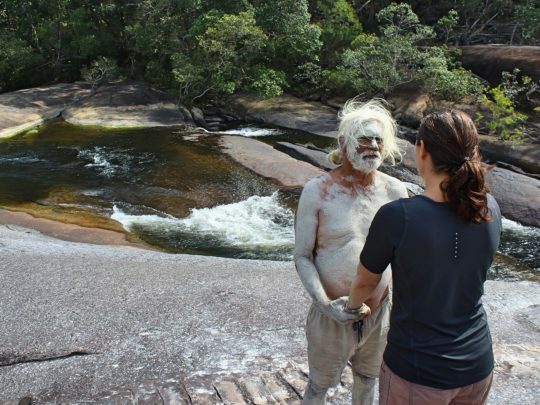 Every immersion is lead by Red Earth Leaders who are experienced in the field, and have an extensive knowledge of the region in which they work. Our leaders understand that every person will have a different experience on immersion, and are well equipped to ensure everyone is included, engaged, and getting the most out of the program. Our leaders are qualified in remote and wilderness first aid, life saving, and 4 wheel driving & vehicle recovery. 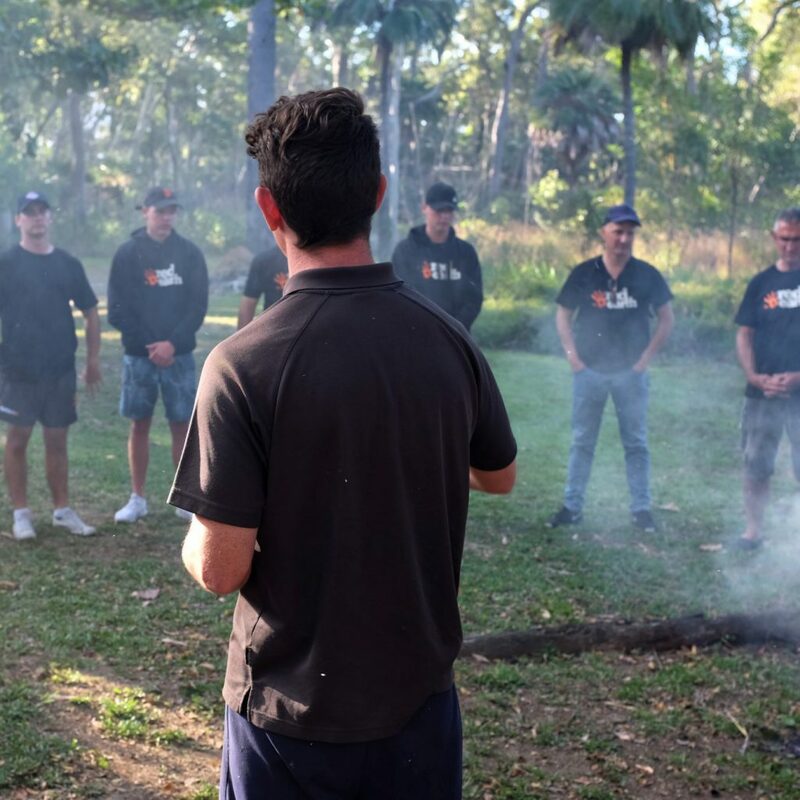 The Red Earth leaders are there to work with your team to promote the safety and wellbeing of the group, manage all of the logistics, and utilise their relationships with your host Homelands to make your immersion a success. What is the best time of year for an Immersion? contact us to talk to us about your next corporate or group experience!